MODZ™ front seats are designed with style and comfort in mind. 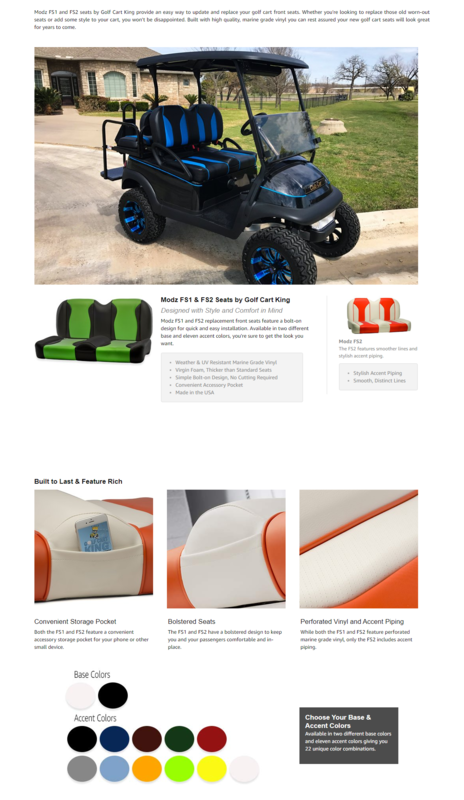 Custom golf cart seats that ship in under 48 hours! Designed to fit five different golf cart models, these front seats can be easily installed. Simply choose your golf cart model from the menu, then select the base color and accent color. What makes MODZ seats so great?